Fin Time Adventures is a family owned and operated business. Back in 1990, we would take a 40-foot boat over 100 miles out to the Northeast Canyons for the thrill of overnight tuna and shark fishing. Over the following decades, we began exploring various types of diving, including offshore wrecks and fast-current drifting. As our experiences advanced, we added whale watching and island explorations to our list of adventures. Throughout our time on the seas, we have piloted almost every type and size of sea vessel. The range of vessels we have manned include ships up to 63 feet, inspected and un-inspected boats, power-motor yachts, tuna boats, head boats, sail-sloop boats, and Chinese junks. Ingrained from childhood with the slogan "the right tool for the right job", we spent several months searching for the right vessel for Fin Time Adventures. The vessel needed to be seaworthy and fast, yet affordable to operate; it had to comfortable, capable of shallow draft, and perfect for both fishing and snorkeling. 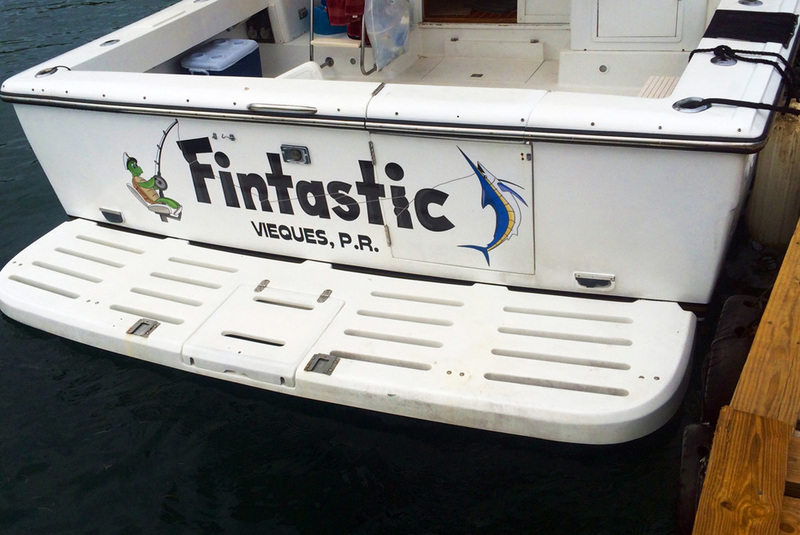 After searching the East and West Coasts of the U.S. and the Caribbean, we finally found our boat, Fintastic. 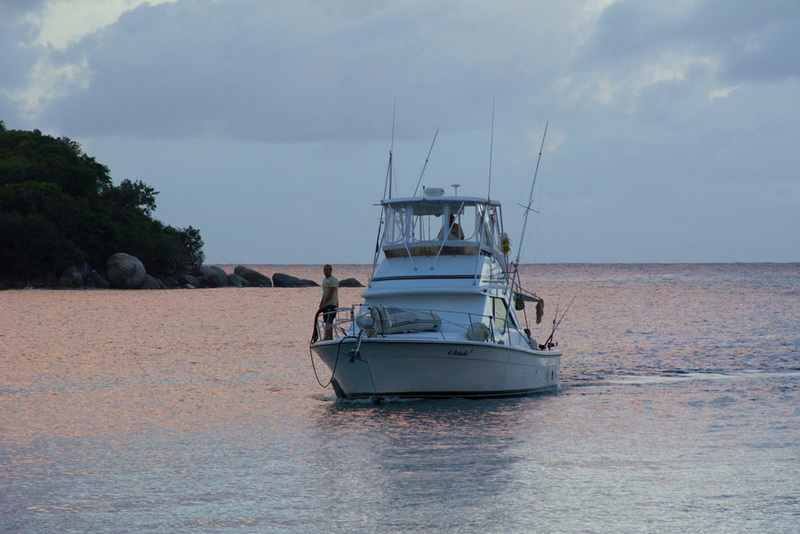 Fintastic is a Phoenix 38 Convertible, and equipped as a full-featured sport fisherman. 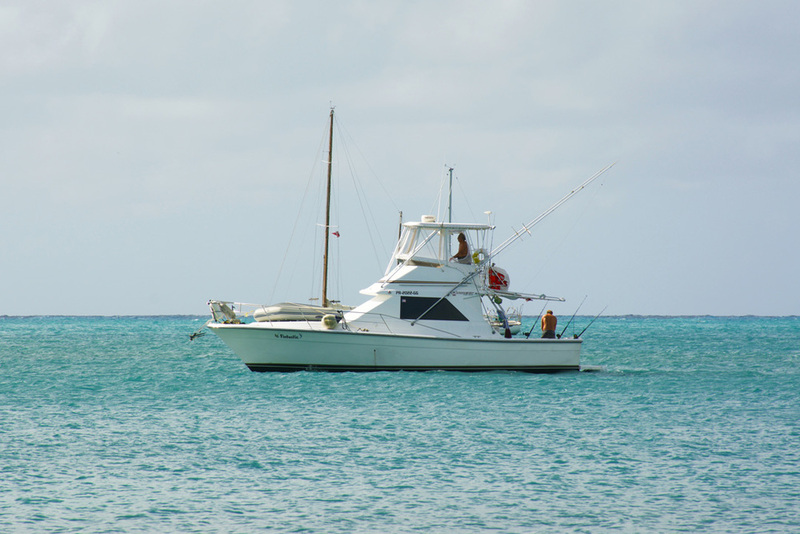 Built and designed to be a big-water fisherman, this beauty has all the equipment, accommodations, and style that makes for an amazing adventure, whether you wish to fish for the big game in Vieques' waters or spend a relaxing day snorkeling. 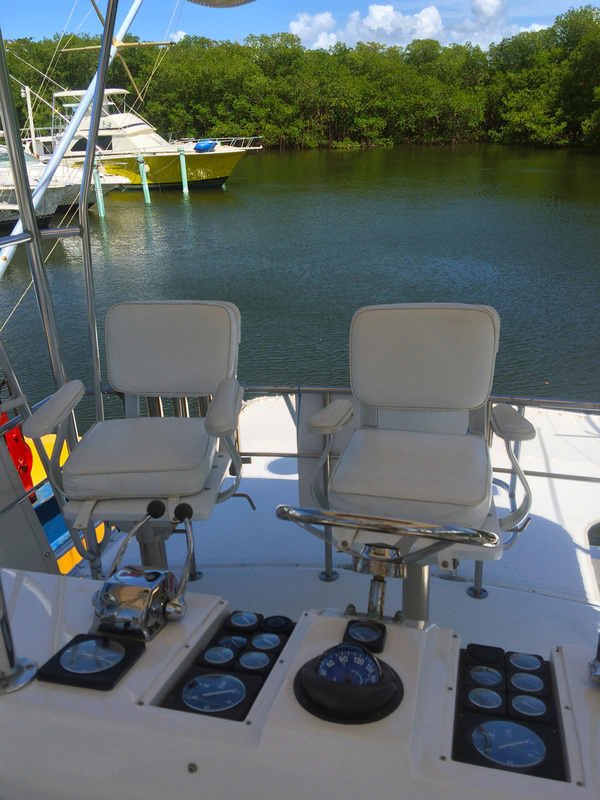 Additionally, the sea-proven vessel has full electronics, is powered with a pair of twin diesels, and has a full head (bathroom) and a very comfortable cabin. To make your adventure and water entry and exit effortless, Fintastic has been customized with a huge swim platform and telescoping ladder. Fin Time Adventures wishes to bring you nothing but the best! We take site selection seriously. To qualify for a Fin Time snorkel location the following procedure was utilized. A team of six experienced snorkelers surveyed many potential locations and graded each. Many factors were taken into consideration on the surveys to ensure you visit only the sites with the most abundant and impressive marine life locations that Puerto Rico has to offer. WE ARE NOT LIMITED BY VESSEL SPEED, which gives us several reef options depending upon our guests preference, sea conditions, and the weather. Fin Time Adventures is fully licensed and insured. All trips are operated by USCG licensed Captains. Safety First.....Fin Time Adventures takes safety seriously. Our captain and crew are well-trained, professional tour guides who are all CPR- and First Aid certified. Fintastic is equipped with all necessary safety equipment, such as a medical kit, life jackets, whistles, binoculars, VHF radio, cell phone, throwable PFD, fire extinguisher, flares, and support launch (outboard equipped inflatable). Even those who aren’t gifted swimmers can still come along and have a great time, as all of our guests are provided with a snorkel vest. Your tour will begin with a short safety briefing, helping ensure that you will feel safe and relaxed while enjoying the best days of your vacation. For added safety, an inflatable boat is always in the background supporting your water experience. Signal and we are there! Sun block. Severe sunburn can result from the sun's reflection off the water. Motion Sickness pills or wristbands if you are prone to seasickness. A camera to capture those memorable moments. Your own beer or wine. Non-alcoholic beverages are provided. Your favorite tackle or snorkel gear (optional). Bait, tackle, and snorkel gear are provided. Tips for the captain and crew are welcome. Fintastic is a drug free vessel. No illegal drugs are allowed on board.